Sri Lanka sits just south of India and if you draw a line to the south of Sri Lanka there are thousands of miles of nothing but ocean until you hit Antarctica. The Maldives are an easy 1 hour flight away. Sri Lanka is known for its outstanding tea, Buddhist temples and jungles. There are a also a variety of popular beaches – the best ones sit on the Eastern and Southern parts of the island. 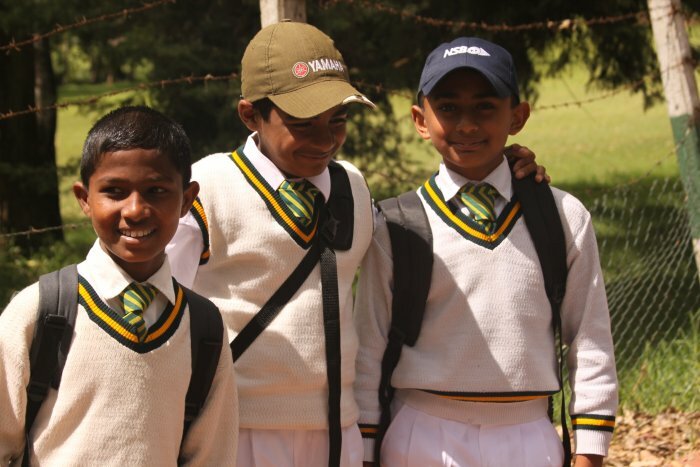 Read on for more information about our trip. This article details some of the highlights and attractions of a recent 2 week visit to Sri Lanka. 70% of the country is Buddhist and there are a number of temples worth visiting. The country is very popular with European and Japanese tourists. Sir Arthur C Clarke, the famed science fiction writer made his home in Sri Lanka for many years. Transportation in Sri Lanka is generally quite slow. The north and eastern part of the island is still definitely much recovering from the 30+ year old war and the transportation infrastructure is still somewhat primitive. New bridges need to be constructed and the roads we experienced were still in a state of disarray. The roads we drove on the rest of the island were narrow, fairly windy in the hill country and because of a variety of various vehicles that use these and terrible traffic, even short distances can take quite some time to traverse. For example during one bus trip it took us about 2.5 hours just to travel 68km. You can do the math on that one and realize that’s quite slow! Buses or air conditioned vans are extremely cheap and each small town has their own bus station. For an even slower method of transportation consider taking the trains – especially in the hill country which has the scenic views. Bandaranaike International Airport is located about 1 hour from Colombo, the capital city. There are buses you can take from the airport into town but these do not run all night. A good price for a taxi or van is about 1000 rupees one way into the city from the airport. Free Internet stations are available throughout the terminal both along the main walkway as well as in the actual gates. Our first stop after escaping the chaos of Colombo was Dambulla, about a 5.5 hour bus ride from Colombo. This town is spread out along two main roads and is the hub for visiting Sirigiya and the Cave Temple. There is not much to do in the actual town. 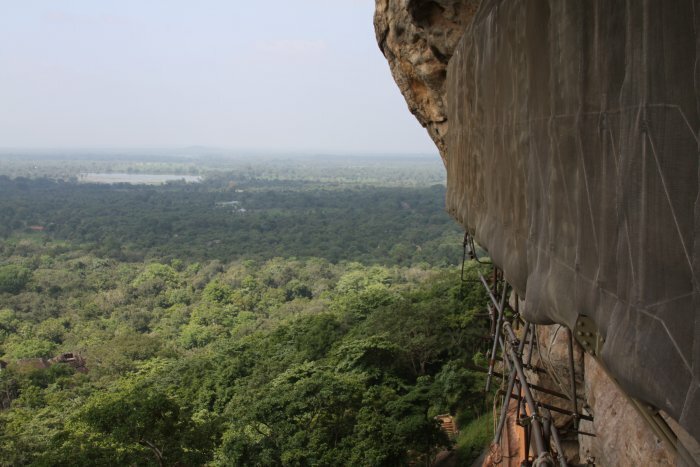 The main part of town is not where all the hotels/guesthouses are located, rather the accommodations are situated near the Cave Temple and or lake about 2-10 km from Dambulla. Of note are the bread shops. These are generally small hole in the wall establishments but in our experience serve a variety of excellent bread. Some of the tastiest breads we enjoyed on our trip were in Dambulla. Sigiriya is a World Heritage Site and dates from the 5th Century BC. The ruins you will see however, date from around 500 AD. The Gardens of the Sigiriya are among the world’s oldest landscaped public gardens. This site is located about 12 kilometers from Dambulla and you can either take a taxi, tuk tuk or a public bus which is more complicated to track down and only delivers you within about 1.5 kilometers of the actual entrance (have to walk the dirt road or find a tuk tuk to deliver you the rest of the way). 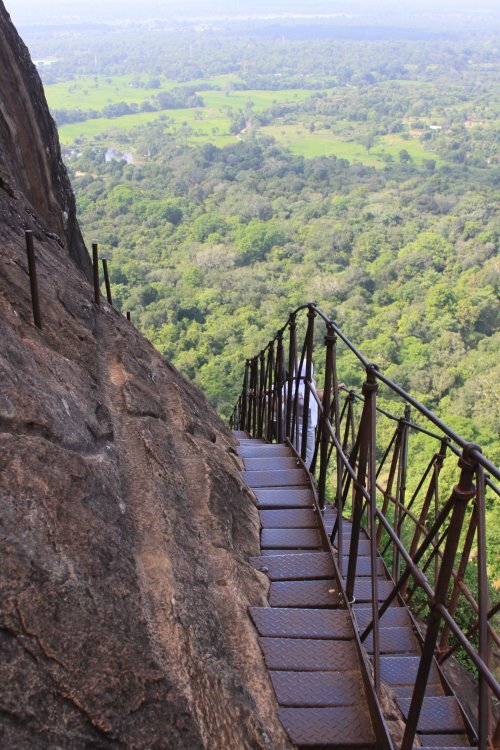 One of the main highlights of a visit to Sigiriya is the Rock Temple. You can either purchase a ticket just for this temple (about $25/person) or a ticket which allows you to roam the grounds and visit other attractions (about $50/person). Allow about 2-3 hours to visit the Rock Temple. This “temple” contains ruins left over from a much earlier civilization. A city was built on top of a huge rock which included water collecting ponds. Be sure to bring some water as no food or drink is sold on the way to the Rock Temple. There is a small “cafe” near the museum but they mostly just sell drinks and miscellaneous snacks. The walk to the top takes about an hour and you can easily spend more time as parts of this walk are quite steep and you will want to enjoy the views once you reach the top. But before you do be sure to stop at the ancient wall paintings about 1/2 way up the sheer vertical walls. 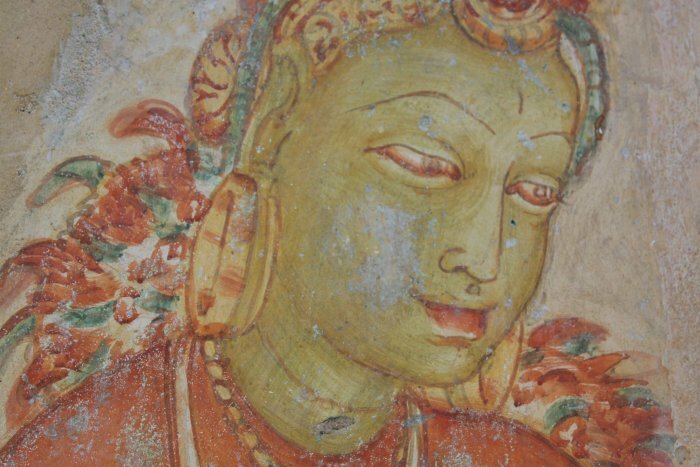 These paintings are extremely well preserved and detailed in their design. There is one large flat area where you can rest before tackling the metal steps drilled into the almost vertical sides of the rock walls. Early steps that were originally carved directly into the stone can be seen. Be glad you don’t have to climb up using these! There are great views of the green jungle in all directions and you have to really look hard to see any signs of human activity. 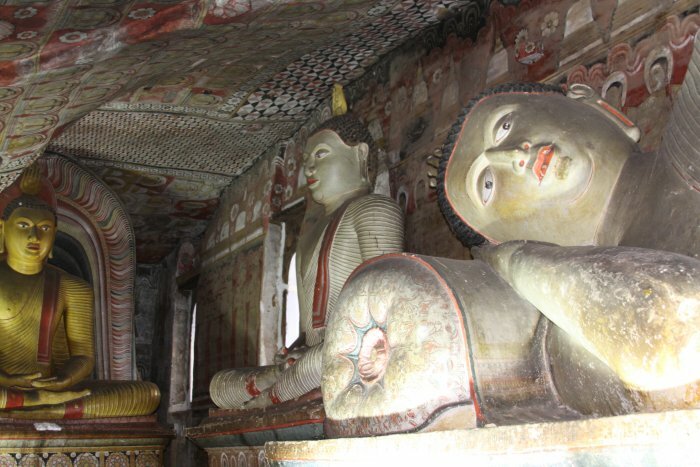 Golden Temple of Dambulla is a World Heritage Site and is $10 per person. Note: you must purchase your tickets at the bottom of the hill otherwise without a ticket at the top, you will be turned back. There are several ticket counters at the bottom and the one you need to go to is the most hidden of them all. It is in the back of a building with no signage whatsoever. Also be very careful to make sure the ticket attendant gives you back the exact change. We gave them several large bills and they just kept all of the change and gave us our ticket (until we firmly requested our change). Allow about 15-30 minutes to reach the top depending on how fast you walk (its all up hill with lots of steps). The Cave Temple is located near the top of a hill and is a temple built along the outer walls of a cave. The actual cave ceilings have been completely painted with intricate artwork and a number of Buddha statues line the walls. The inside of the cave is a very photogenic spot. This part of Sri Lanka is geographically in the region that was affected by the insurgent Tamil Tigers and the war in this region which lasted over 30 years. The war was officially declared over in 2009 but there is much that has to be done to bring this part of Sri Lanka up the rest of the country’s standards. As of early 2010 the military is very much present. Their dug out dirt bunkers with camouflage on top are clearly evident as they dot they dot much of the main road leading north from Dambulla. Along with the terrible roads there are military checkpoints adding to the time it takes to travel in this region. Residents evacuated the region throughout the war (not to mention the 80,000 to 100,000 estimated killed) and empty shells of what used to be their homes are still standing. Some of the buildings we visited were riddled with round holes – chunks of missing concrete from all the bullets. Of unusual note are the actual reindeer that live at the Trincomalee bus station! Some are small but several have quite well developed antlers. Keep in mind that these are some of the best beaches in Sri Lanka and over time due to the demand for tourism these beach towns will increase the number of hotels & guesthouses and things will improve. The best beaches in the vicinity of Trincomalee are north of town. For extreme budget travelers there are about 5 small rather primitive cheap places to stay about 5 or 6 kilometers north of Trincomalee but still about 5 kilometers south of Nilaveli Beach. There are several rather expensive (for the quality) hotels in Nilaveli Beach including the best hotel, the gated Nilaveli Beach Resort. What is ironic is that for the best hotel in this area their 1+ KM dirt road is by far the worst entry road we’ve ever seen to get into a hotel. Its dirt, often muddy and is full of huge ruts. This hotel is extremely popular and can be booked solid even in the off season. It is recommended to reserve your room well in advance regardless of the time of year you visit. Another option is the Sea View Hotel located at the 10th mile post (Phone – 026 4920016) about 2 km from the Nilaveli Beach hotel with about 20 rooms and 2 stories. This has both seaside facing and rooms away from the ocean. The sea rooms are the nicest as there is often a cooling breeze. The air conditioning units appear to have stopped working and are quite rusted from the prevailing winds coming in off the ocean. The restaurant serves a variety of Sri Lankan dishes and if you are visiting during the off season chances are they won’t have half the items on their menu. If the seas are calm it is a 20-30 minute boat ride to nearby Pigeon island for snorkeling and bird watching. The boatman have to get permission from the military guards/police to take passengers to this island depending on the weather. The best beach months in this region are April and May. We were here in mid January and experienced very rough waters, grey skies and a number of rain showers. Kenniyai Hot Springs are located approximately 6 kilometers from Nilaveli Beach. These hot springs are not well marked and you (your driver) will probably need to stop and ask locals for directions. When you hear the words hot springs you might immediately think of blissful relaxation in warm natural waters. Not so with these hot springs – they consist of merely 7 holes in the ground surrounded by concrete with waters that bubble up every so often. The water is hot but you cannot bathe in these. Small aluminum containers are available for dipping into the water and then pouring on your head and extremities. Tourist prices have not yet hit this minor attraction – you will pay the same as locals. A number of shops line the entrance appealing more to locals than tourists. Several of the nearby buildings are riddled with bullet holes left over from the war. This city had by far the most “tourism cheats” of any of the cities or towns we visited in Sri Lanka. By this we mean there are a number of people with hidden agendas who try to offer you guided trips or other services with “strings attached”. In this town we personally experienced the following. Asking for help when we were lost or for certain types of stores we were then confronted by the individuals demanding money for services rendered. One person claimed to work at our hotel and then proceeded to guide us into a market taking us only to his favorite shops saying it was his “karma” to warn us against the high priced touristy spots and that we would find much cheaper prices in the market. Presumably he was getting a commission on any money we spent at these particular shops. Tuk Tuk drivers offering you cheap prices initially and then doubling the cost when it was time to pay. Tuk tuk drivers telling you they would guide you to a bunch of free attractions and then when they have you in their vehicle away from town you find out otherwise. Tuk Tuk drivers telling you that you can write nice comments in their guest books, saying this like you are getting a good price in return for your nice comments. (i.e. there is no comment guestbook). 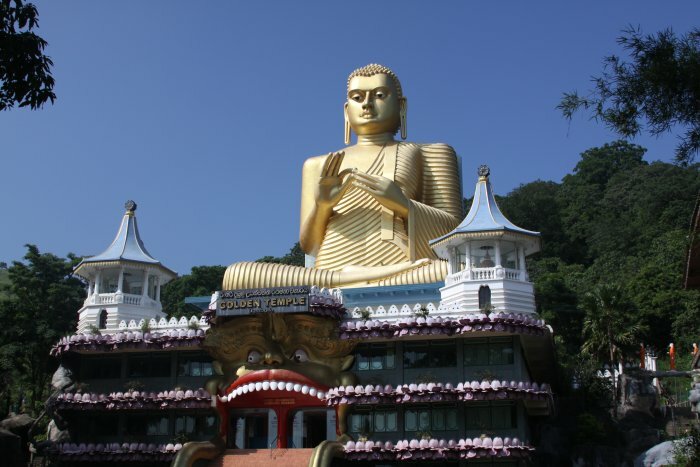 There are a number of minor attractions in the area with the most well known and most visited being the Temple of the Tooth (Sri Dalada Maligawa) – this is extremely popular with Buddhists as this site contains the only physical remnant from Buddha, his sacred left tooth. The three different entry prices are according to where you live in the world. There is a price for locals, for those living in specific South Asian countries and a price for the rest of the world’s citizens. Shorts are not allowed and you will go through several security checks before being allowed into the main building. Ayurvedic Products – there are a number of Ayurvedic centers/farms around Kandy run by the government. A typical visit to one of these farms includes a walk through their gardens and description about the different types of products offered. Cream that permanently removes hair, oils and other all natural products are available for a surprisingly wide variety of ailments. The prices are also quite expensive at these centers and we saw some of the same products at the large covered local market in Kandy for much cheaper. Riverside Elephant Park is located about 20 minutes from the central part of Kandy – for $10 per person you get to walk down to a river and watch up to 3 elephants being cleaned (we were told there are only 3 elephants in this entire park), purchase snacks if you want to feed them and also go on a short elephant ride. Unless you’ve never seen elephants before this is really not a recommended attraction but we list it here as its a favorite place for the tuk tuk drivers to take tourists. Dances of Sri Lanka is a cultural show put on nightly at 6:30pm by the Kandyan Art Association in their performing arts hall located behind the main Temple of the Tooth. 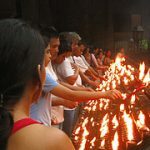 This is very popular with tourists and is an hour long drumming, music and dancing session culminating with the fire breathers and then some exciting walks on fiery hot coals. A “fan man” even runs out several times to fan the entire walkway of coals so you can clearly see the hot embers glowing brightly. Sharon Inn is the nicest hotel “on their particular hill”. 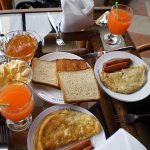 Phone: 081 2222416 It is about a 10-15 minute brisk walk to downtown from the hotel (all downhill or flat) and sits high on a hillside with some views of the surrounding hills. The restaurant serves a buffet dinner and breakfast and was always very crowded when we walked through. Sharon Inn is the nicest hotel in this particular area – and there are plenty of guesthouses immediately nearby (for cheaper). This is one of our favorite spots in Sri Lanka. This small town is situated at about 2000 meters or 6200 feet in the hill country. As a result the temperatures are extremely mild, getting chilly at night and is host to some of Colombo’s wealthy who want to get away from the sizzling tropical heat of the lowlands, especially during the hot months. The current president of Sri Lanka even has a house here. 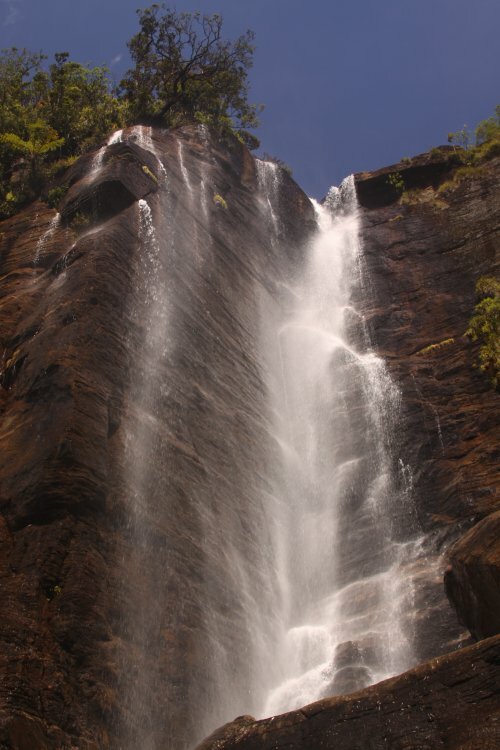 Lovers Leap Ella Waterfall is located about 15 minutes from downtown. There is a small road leading up into the hills past small gardens. This paved road turns into steps built into the hillside and then becomes a small trail which leads to a concrete collecting pool. A very narrow steep trail continues past this up to the actual base of the waterfall. There are no pools deep enough for swimming but the water is very cool and refreshing and there are stellar views looking out over Nuwara Eliya and the surrounding green countryside. Tea Plantions – Mackwoods is the oldest tea plantation in Sri Lanka and dates back to 1841 when it was under British ownership. This is about a 15-30 minute ride from Nuwara Eliya over the 6400 foot pass outside of town and then down the steep windy road. Mackwood’s is located next to terraced hills which are covered with thousands of green tea plants. Each plant can be picked up to 4x per month. 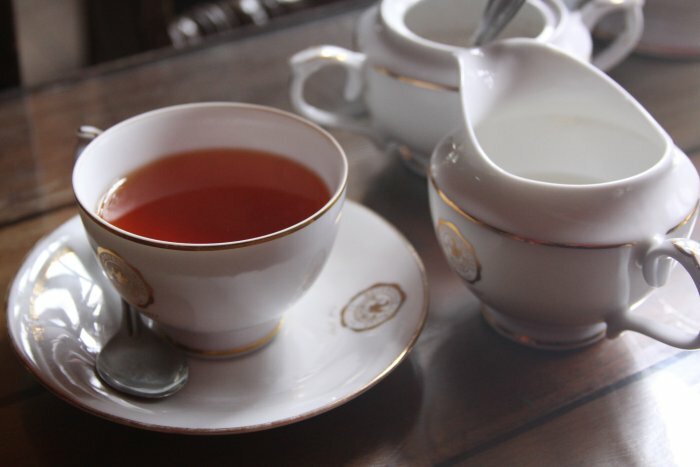 Step into their main entrance and proceed to your left to their tea salon where you will be poured a sample of tea served on their fine china. After you’ve enjoyed this be treated to a free tour of the actual tea making facilities starting outside next to the tea plants and ending in their gift shop. Mackwoods sells a wide variety of teas including the more coveted Queen’s Golden Jubilee Blend and their 160th Anniversary Blend. Visit www.mackwoodstea.com for more information. There are many hotels and guesthouses within mere walking distance of the main part of town, however, the Grand Hotel as the name indicates is indeed the grandest hotel in town. 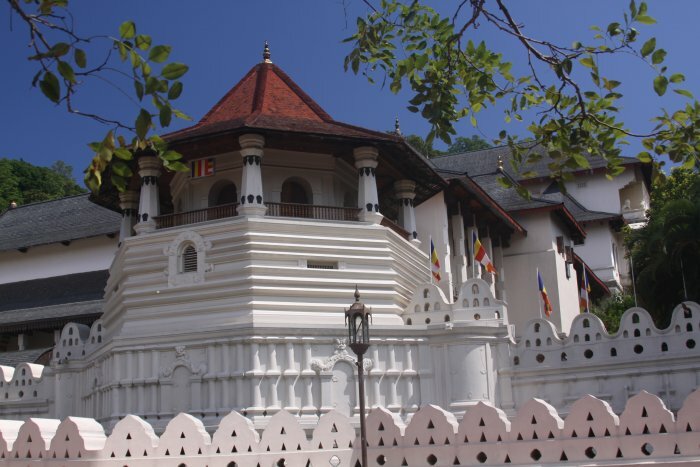 This was originally the home to a Sri Lankan Governor and dates from 1828, although not in its current form. 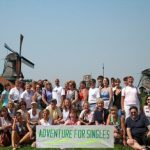 During our stay here the largest demographic seemed to be retired couples from Europe in their 60’s and 70’s. A stay here is for the history and charm. A huge buffet dinner is served every evening in the formal dining room. Dishes include both Sri Lankan and Western foods. Live music is played, often dishing up “campfire songs” and music by Simon & Garfunkle and John Denver. The diners usually get into the spirit of the moment and the music and during some songs you may hear most people singing along with the musician on stage. The rooms are comfortable and tastefully decorated. The small gardens in front of the hotel are clearly maintained very well. The circular driveway makes a great walk, especially after dinner when you need to burn off all that food you consumed at the buffet! There is no business center or pool on site but WiFi is available in the lobby only with a purchase of an Internet card. A small gym and massage center is located downstairs. With vision, significant money and a major renovation this hotel has the potential to become one of the top hotels in the world. Prices are not posted and the price you are quoted in our experience changes based on who you ask, the time of day and the time of season. Phone: 052 2222881. 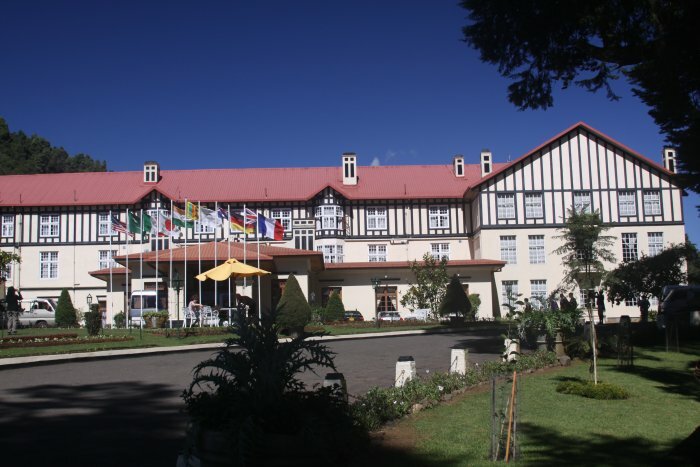 Nuwara Eliya also boasts a well maintained 18 hole golf course. Money – By far the best exchange rate for cash or travelers checks is at the airport. We found larger hotels will change money for you but all the ones we visited were at an exchange rate far worse than given at the airport. Unlike some countries there doesn’t seem to be a problem with using old or slightly ripped bills – these were accepted without question everywhere. ATM’s are scattered through the towns – we had random success with ATMs – some banks did not recognize Western ATM cards. Cash – expect to use mostly cash on your trip to Sri Lanka especially if you are more of a budget traveler. Guesthouses and small restaurants do not accept credit cards. Prices for what tourists pay and for what locals pay differ dramatically. In all our travels some of the largest differences we’ve experienced in prices have been in Sri Lanka. Entrance to the National Parks or other attractions are very similar or even more for select admissions than what you would pay in the USA or in Europe. Be aware of tricky tuk tuk drivers or other “tourist guides” with hidden agendas that you meet on the street. See our Kandy section above for more information about these annoyances. “Hotels” – many convenience stores will list their name followed by the word hotel. This can be a bit confusing until you get used to this as these stores do not actually offer rooms. Fruit – we visited during the “off season” for fruit. 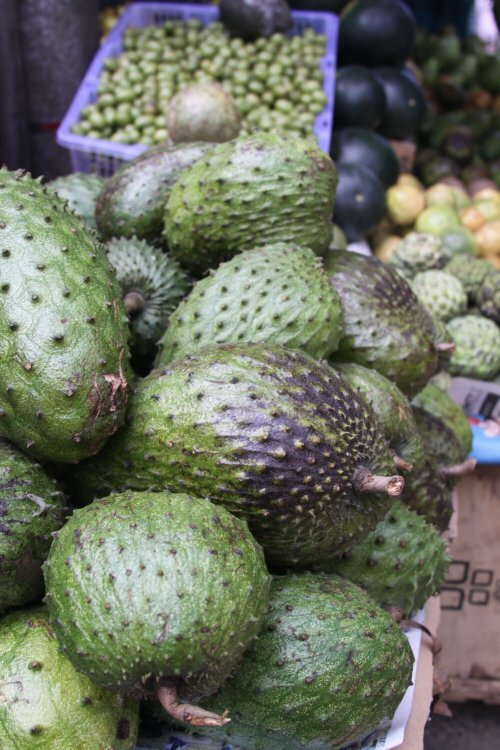 The fruit was of generally low quality at the markets, with the exception of pineapples and sour sop. Please review the following Sri Lankan related travel sites. My tour to Sri Lanka was one of the best tours I’ve ever had. Sri Lanka is a beautiful country with friendly people and perfect weather. Kandy, Colombo, Anuradhapuraya and Galle are the must visit cities. You will learn a lot about Sri Lankan history if you go with a guide or a tour operator. My tour operator Sri Lankan Dreams helped me a lot in finding the best places to visit in Sri Lanka before I went there. Great post. I am visiting Sri Lanka in April for a month and Planing on visiting most of the country. I have already been to Sigiriya, Dambulla, Galle, Matara etc since I have family living there. I can’t wait to rediscover the country. Srilanka.. a great place for adventures. Thanks for sharing places.